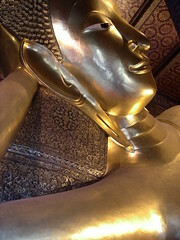 This is the reclining buddha inside Wat Pho. It was HUGE. It is covered in gold and has mother of pearl on the soles of it's feet.